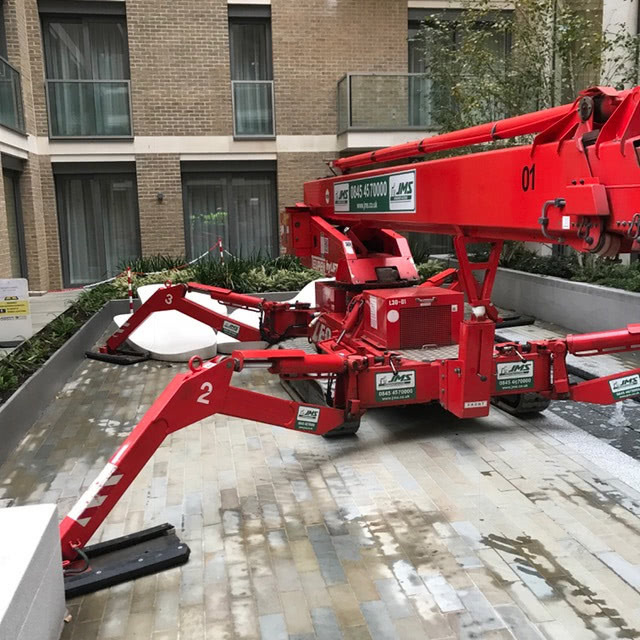 Exterior maintenance work on luxury apartment buildings in central London required compact spider boom lifts capable of being operated while on an incline and over obstacles. 190 Strand is a mixed-use development by St Edward Homes, part of Berkeley Group Holdings, on the south side of The Strand, in Westminster, London. The development is made up of five main buildings. Scott Walker, from JMS, said: “Part of the work was to update ornate stone and cladding works at a height of over 30 meters, around a unique and prestigious residential development that is currently occupied. “The ongoing works are a mixture of structural and non-structural alterations to buildings that are already prominent in this part of Westminster because of their height and modernity. JMS has a fleet of tracked booms available for hire for specialist applications. Here’s our Teupen Leo in action in central London. There were a number of constraints involved in completing the work, with the machines positioned in very confined spaces and on sloping surfaces. Safety was the number one priority when overcoming these obstacles. 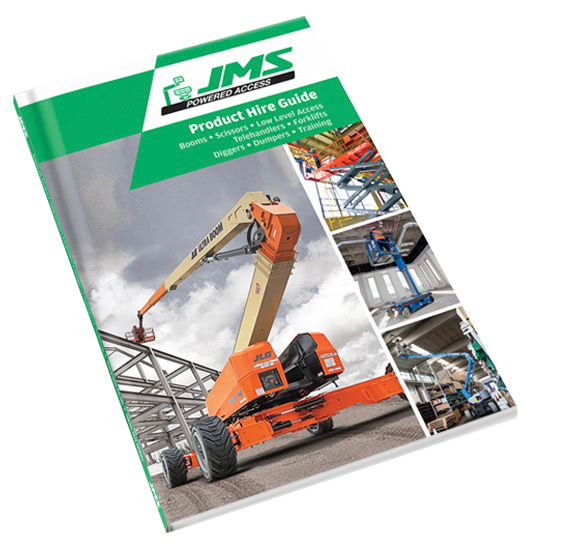 The JMS design and survey team have been involved with the project from the start, to ensure the correct point loadings were achieved and the correct machinery was provided. The team recommended the Teupen LEO 36T and the Teupen LEO 30T diesel tracked spider booms to enable operators to reach the cladding works and either repair or replace them. Environmental considerations included complying with central London emission and noise control regulations, managing residents’ perceptions of the work, and taking care of the site surroundings, which included a number of Grade II listed buildings on the Strand. The work will carry on until spring 2019, when the JMS team will conclude with work on the underground car park and CCTV installations. 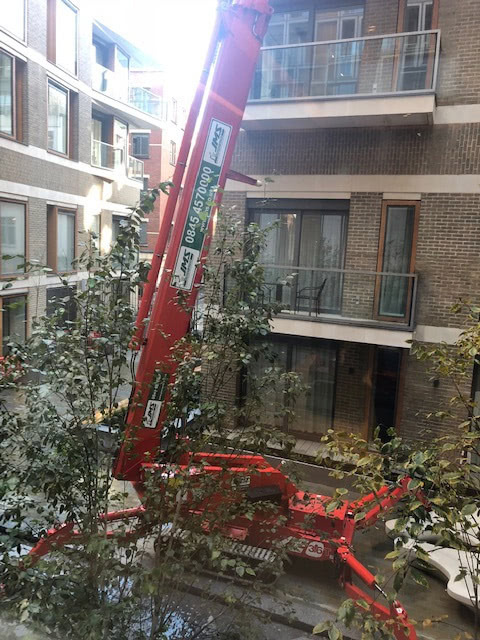 At 190 Strand, the 30 metre LEO30T boom was sited in narrow gaps between buildings and in tiny internal courtyards. Its 180-degree platform rotation and 180-degree adjustable jib enabled operators in the basket to work flush against the walls like a scissor lift without having to reposition the machine. The Teupen LEO 30T is one of JMS’s most popular mobile elevating work platforms (MEWPs). It is ideal for squeezing into very small spaces, with the stabilisers able to overcome a height difference on either side of up to 1.2 metres. The articulating boom’s multi-level, multi-position stabilisers can create a stable base on two different levels, or in tight spaces where both sides of the machine need a different set-up position. On the steepest building exterior, the customer was not allowed to close the road or put barriers in place. All the work on that side had to be completed with a machine sited on the pavement. This required a very compact boom capable of close wall work which the Teupen LEO 30T was ideally suited to. The rear of the building gave the customer slightly easier access as operators were able to able to erect barriers in the alley that ran behind it. The Teupen LEO 36T has excellent weight distribution and non-marking rubber tracks that enable operators to work on floors with load restrictions and sensitive surfaces. This capacity was essential when working on external paving and up and over landscaping features such as low walls and fountains at 190 Strand. Suitable applications for the Teupen LEO 36T tracked spider boom for sensitive surfaces include churches, auditoriums, museums, hotel lobbies, shopping centres, atriums, airport terminals, railway stations and historic buildings. A stair climbing kit is available for the LEO 36T, which has a maximum working height of 35.5 metres. Choosing the right type and size of spreader pad is essential for the safe operation of mobile elevating work platforms (MEWPs) where machines are operated on uneven or unstable ground. JMS’s IPAF spreader pad calculator helps customers choose the right spreader pads for each job by considering key factors such as the maximum allowable ground pressure and the machine load per outrigger or wheel.